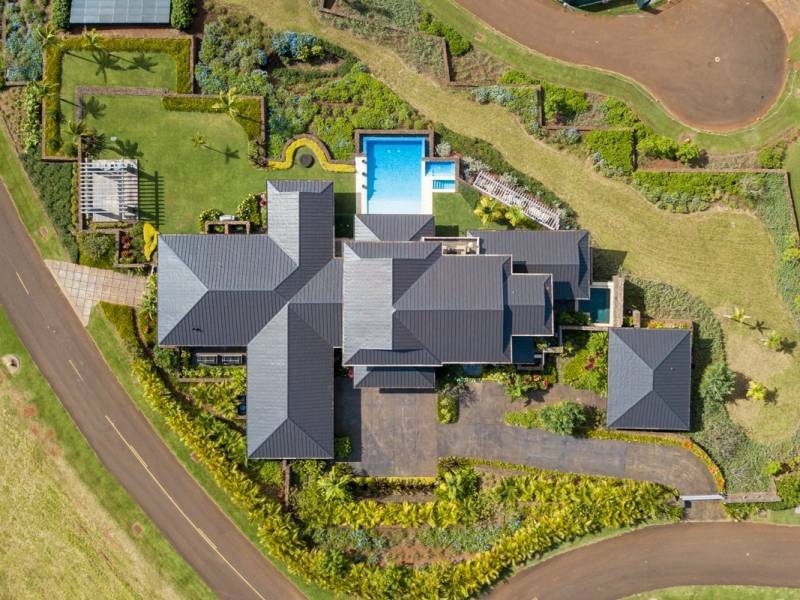 On January 25th, this spectacular Kukui’ula home on the south shore of Kauai was overwhelmingly voted Wall Street Journal’s House of the Year. Currently listed by Matt Beall and Susan Higgins of Hawaii Life, this home won the title by capturing over 75% of the votes. Each year, the Wall Street Journal asks readers to vote on 52 properties carefully selected from its House of the Day features. In 2018, 272,804 votes were cast. 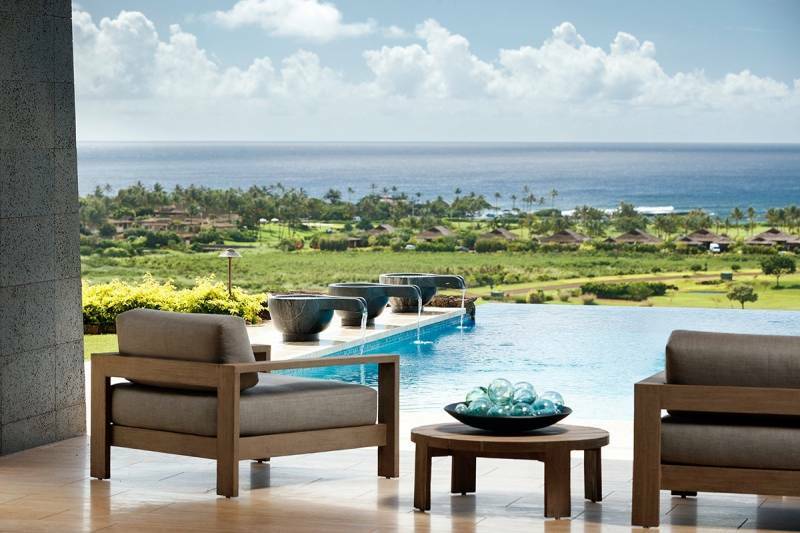 While New York and California had the bulk of the listings featured, the beauty and serenity of this estate inside the Kukui’ula community captured the hearts and minds of Wall Street Journal readers. In its matchups with other properties, this beautiful home earned 75.75% of the votes. This estate sits on 1.46 acres and is positioned on its own hillside peninsula which offers commanding views of the ocean and mountains. Architect Bing Hu designed the home using naturalist elements that connect the house to its surroundings. Sliced lava rock pillars and Sapele front doors open to views of the Pacific and a combination of warm woods and stone floors create a sense of peace and harmony. Built for a financier, the home’s floor plan incorporates a large second-story loft that served as an office and additional bedroom, overlooking the family room and kitchen. The master suite and bedrooms are at opposite ends of the residence which adds to home’s appeal as a private sanctuary. 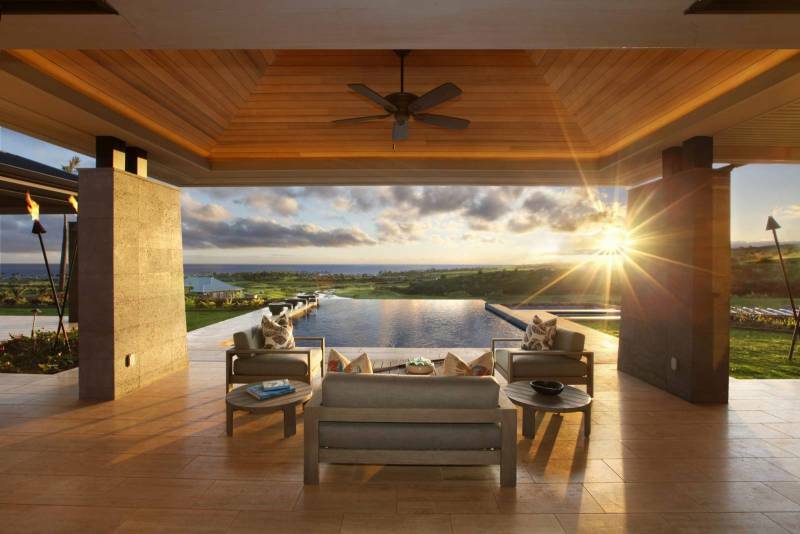 Bedrooms incorporate private bathrooms, outdoor showers, and lanai spaces for enjoying the views, and warm breezes. Interior designer Mary Philpotts of Honolulu decorated the home, which is being sold furnished. Outside a serene infinity pool seems to float into the sky and the ocean beyond. 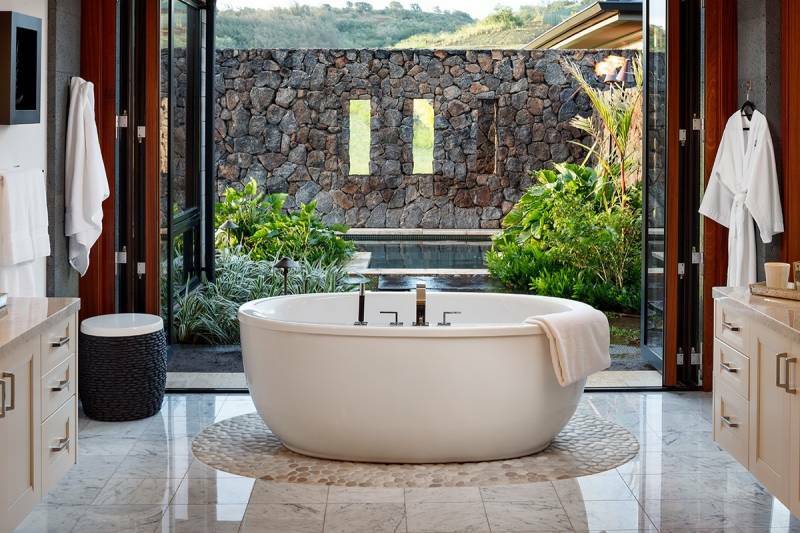 Lava rock walls surround the property which also includes a private guest house, yoga pavilion, two hot tubs, cold plunge, and beautifully landscaped gardens. 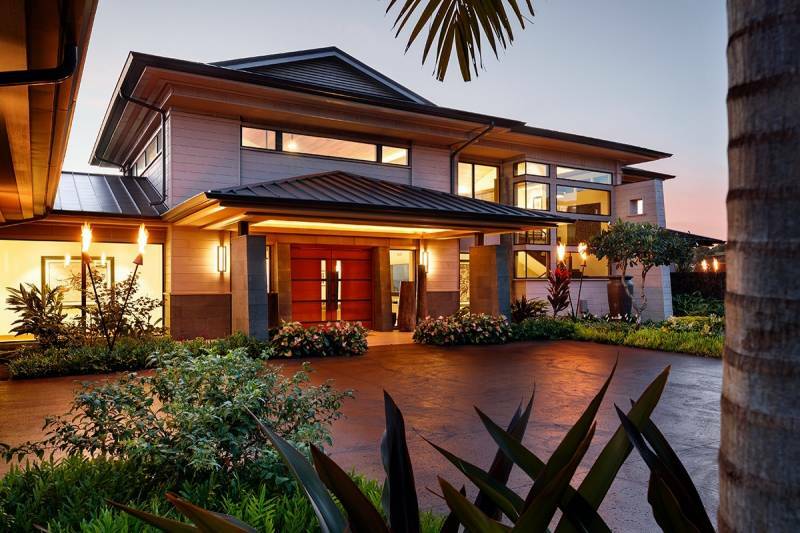 This home was one of the first contemporary homes in the Kukui’ula community, and its clean lines and attention to detail make it a standout. The full article can viewed here: WSJ House of the Year. To view this offering, please click here. 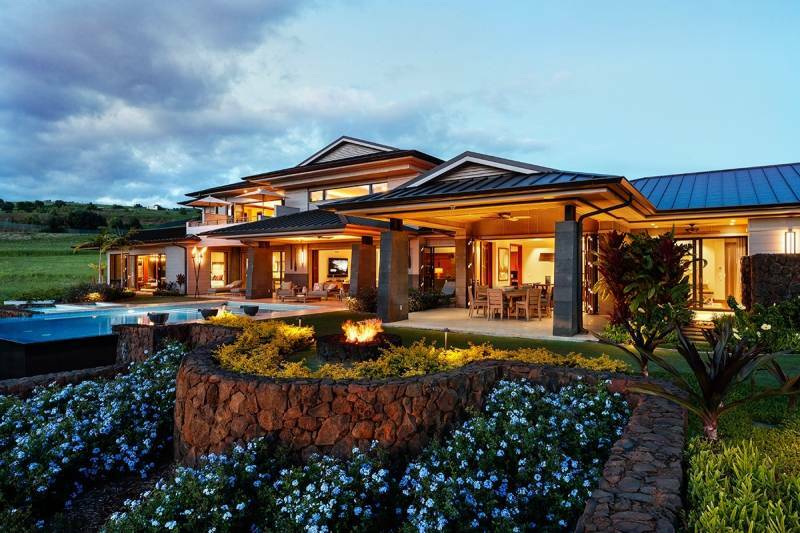 To schedule a private showing, contact Susan Higgins at SusanHiggins@HawaiiLife.com. Mahalo! Susan Higgins is a REALTOR(S) with Hawai'i Life. You can email me at	SusanHiggins@HawaiiLife.com	or via phone at (808) 346-7900.